From Gaming Heads. Unlike most assassins in the galaxy, Thane Krios gets close and personal instead of picking off prey from behind a scope. 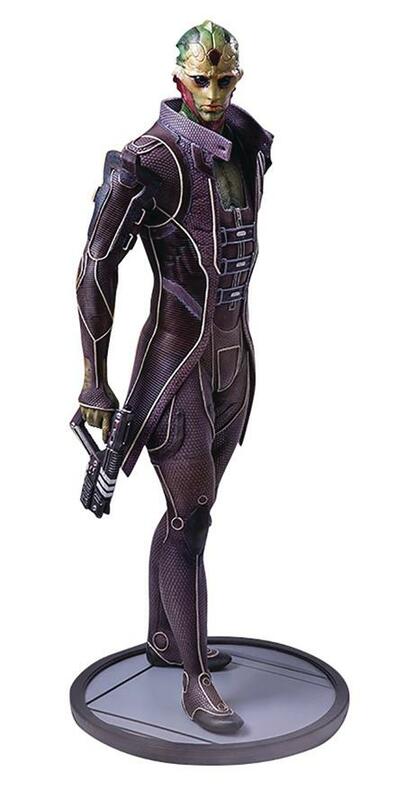 Gaming Heads proudly presents the Mass Effect: Thane regular edition statue. Standing approximately 18 1/2-inch tall, this statue is carefully cast in polystone resin and hand-painted by artisans. Thane is depicted with his trusty M-4 Shuriken submachine gun by his side. Each statue comes in deluxe full-color packaging, has a hand-numbered base and a certificate of authenticity. Highly limited to 1000 pieces worldwide. Images shown are representative only. Final product may vary.